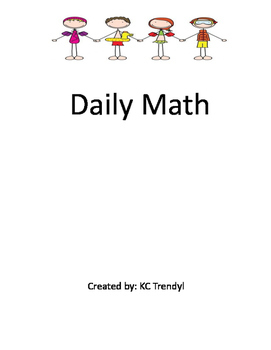 Common core math concepts are taught Monday through Thursday using the provided half sheets, the Friday test (also provided) correlates to the concepts that were taught during that week. 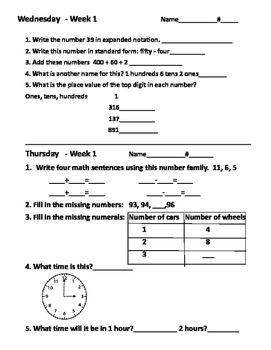 The Friday tests have the abbreviation (on the right hand corner) for the common core strand that is being taught. 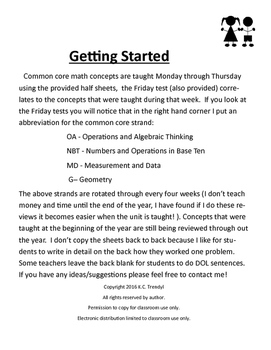 I started off with basic review of all common core strands and as the year progresses, the tests will become more in depth. 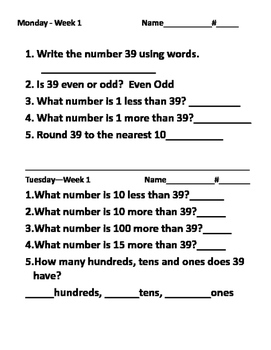 The tests rotate through the common core strands during the month.